That's so Interesting! : The Event that Rocked Rockwell! 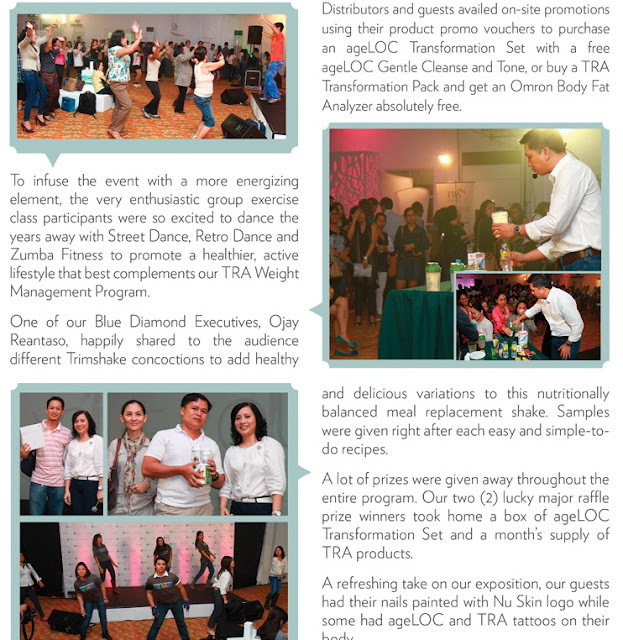 A couple of weeks ago, I wrote about an exciting event at Rockwell Tent in Makati by Nu Skin Philippines. It's called the Live Young Exposition, a half-day extravaganza showcasing the latest in skin care and anti-aging technology. Now, I would like to share the write-up and photos from Nu Skin Philippines on the happenings during the event! From the looks of things, it was one remarkable affair! 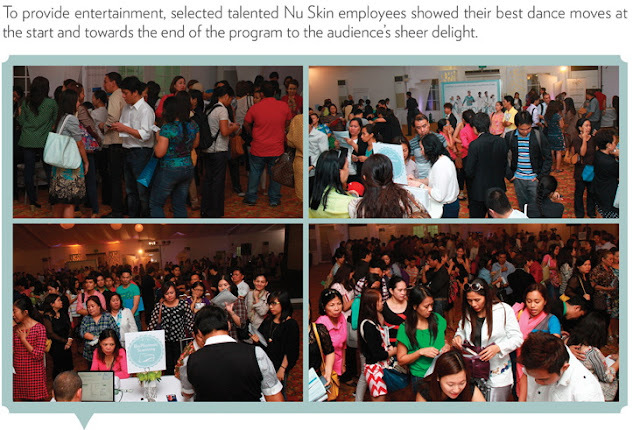 One thing about Nu Skin, they don't just espouse anti-aging as lathering on topical creams... it's lifestyle changing. Anti-Aging Inside and Outside. Thus, you hear Nu Skin distributors talk about proper diet, nutrition, exercise, health supplementation, on top of the usual ~ daily, weekly skin care regimen. Living Young, after all, it not just looking young... but feeling young and having an active lifestyle. 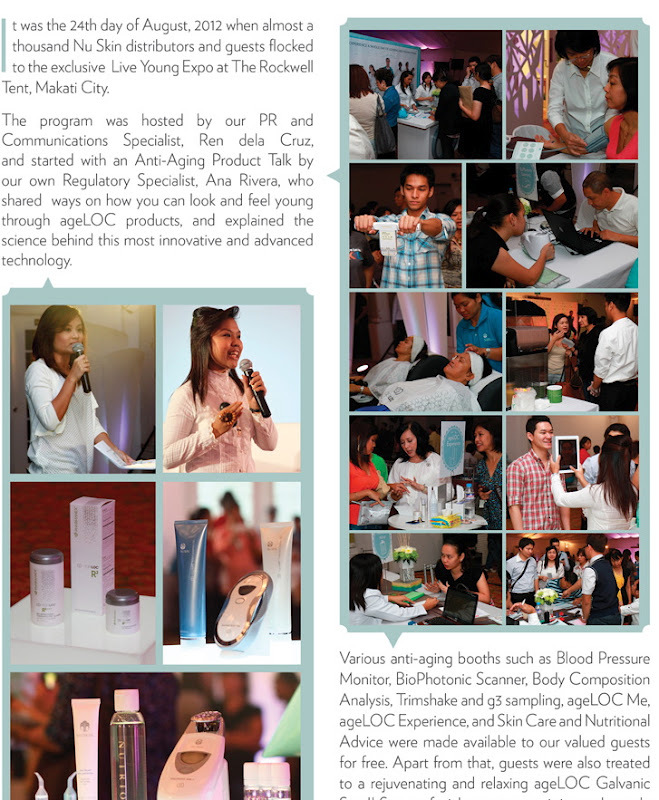 If you are interested to know more about the latest anti-aging technology and the business opportunity behind it, you can just get in-touch with Nu Skin Enterprises Philippines. Drop by their office at 15th floor Octagon Building, San Miguel Avenue, Pasig City, Philippines, with telephone numbers 632-8-NUSKIN (868-7546). Labels: 15th floor Octagon building, nu skin, nu skin enterprises philippines, teleperformance building.